Slapstick prevails again when Jacques Tati’s eccentric, old-fashioned hero, Monsieur Hulot, is set loose in Villa Arpel, the geometric, oppressively ultramodern home of his brother-in-law, and in the antiseptic plastic hose factory where he gets a job. 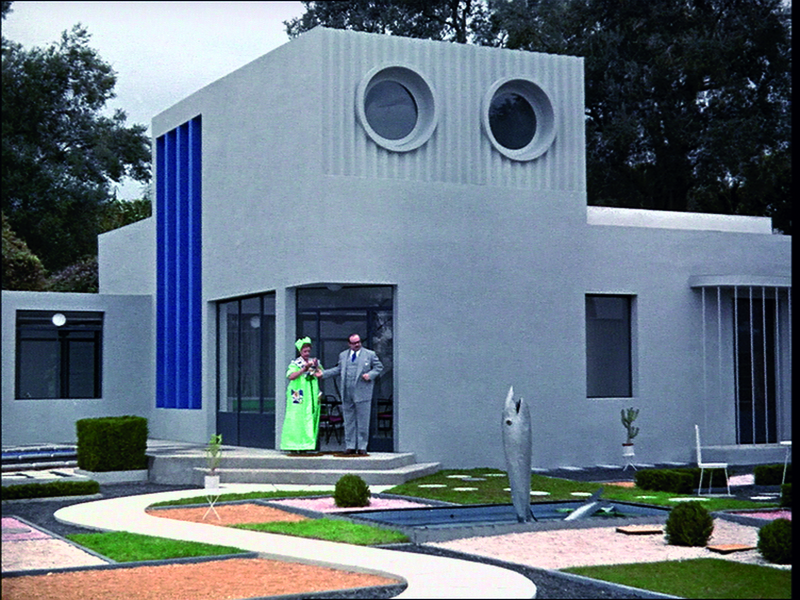 The second Hulot movie and Tati’s first color film, Mon oncle is a supremely amusing satire of mechanized living and consumer society that earned the director the Academy Award for best foreign-language film. Poking fun at gadgetry and the car obsessed modern suburban landscape, while revelling in the charming persistence of the nearby town centre, Mon Oncle is an amusing satire of the modern lifestyle of materialist suburbanites. This Academy Award-winning film is as relevant today as it ever was—especially perhaps in Winnipeg where enlightened critiques of suburbia and modernity have yet to fully land and where those who cherish the creative force of anachronism tend to thrive.